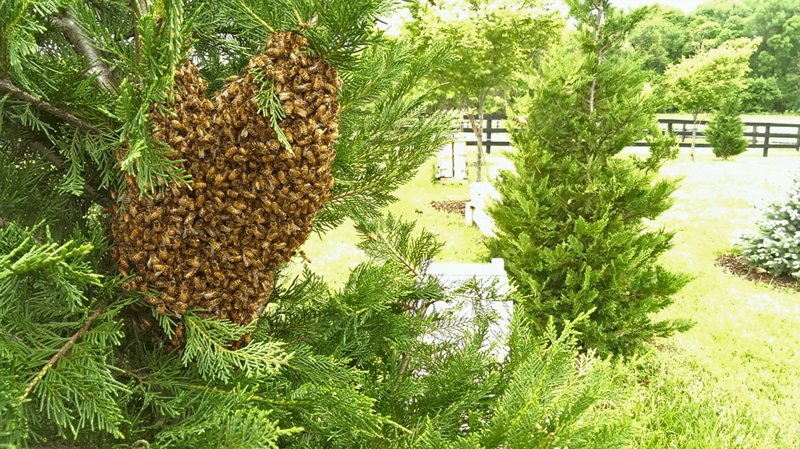 In my book, the spring is marked by the first phone call of the year requesting that I come catch a honey bee swarm or remove bees from an old tree or building. Yesterday I received my first call of the season. It must be spring! 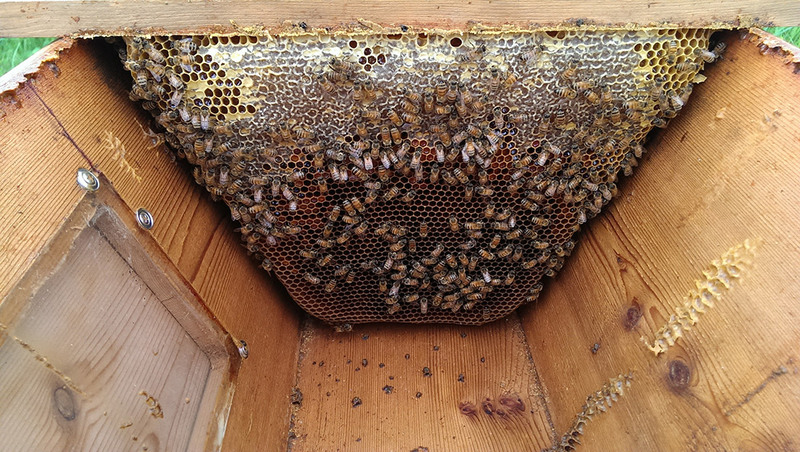 We’ve been experiencing a bit of a cold spell so the bees haven’t had many opportunities to get out for cleansing flights. While I know they were doing well before the cold snap, I always wonder if they are continuing to do well when I can’t check in on them. 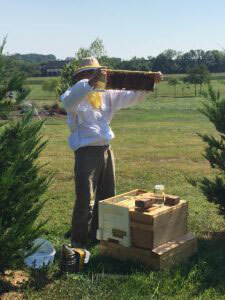 This past weekend it warmed up a bit for a short time but I wasn’t able to make it to the apiary during the time they would have been flying. When I did stop by, just as the sun was going down, it was clear that they had been quite active with cleansing flights and were doing just fine. Remember, don’t eat yellow snow. Yellow dots in the snow. Evidence that the bees have been taking cleansing flights. It’s mid-January and we have had quite a long cold spell so it’s the perfect time for treating for mites with Oxalic Acid as brood rearing should be at a minimum. Yesterday’s temperatures were a little over 40 degrees and there was no wind — a perfect day for the vaporizer. When the vapor hits the cluster a strong colony like the one in this little nuc will roar as it fans and moves the air around. It’s nice confirmation in the wintertime that the colony is alive and strong.